Very spacious architect-designed house and separate apartment located close to Cholet south of the Loire. 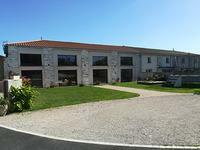 Located in a very private setting just 5 minutes from the centre of Cholet and 25 mins from . . . 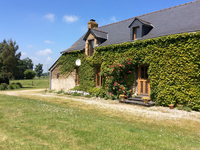 Situated in a beautiful part of the Loire, these two properties are ideally located to take . . . Magnificent house of 165m ² with 4 bedrooms on land of about 1 hectare, entirely fenced and . . . This lovingly restored Maison de Maitre which has retained all its period fittings is . . . This is a stunning and complete renovation of the 30metre stone farmhouse situated in a very . . . 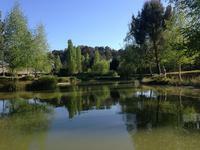 Superb property , with a stocked fishing lake and a gite , its a great business . . . This property is fabulous. The renovation has been done with care keeping the old world feel . . . This is a significant sized house that allows both for family living and income generation if . . . Pretty restored farmhouse with separate gite and pool 25km North of Saumur near the vineyards of Bourgueil. This restored longere boasts many period features including exposed beams, stone walls, stone . . .
Amazing business opportunity for the dynamic. Present owners have a successful both in house . 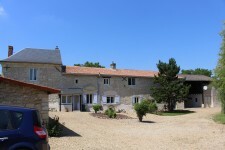 . .
An imposing country style property with an established B&B business and 2 bedroom gite set . 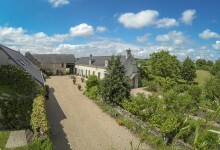 . .
Nestled in the apple orchards north of Angers this is a great example of a quality renovation . . . 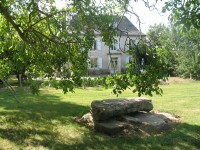 Very elegant property in the centre of Segré on the site of an ancient Chateau overlooking . . .
Great potential in this ensemble of buildings that includes a totally renovated family home . . . 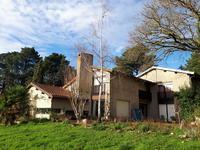 If a good value property is what you are looking for, with future business potential, this is . . . Excellent 4 bedroomed, fully renovated longère, set in 3927m2 garden with an apple orchard. Situated down a long quiet road, this house is surrounded by nature in its 3,927m2 garden. . . .
Set in a quiet clearing in a wooded area abounding with wildlife this property is still only . . . Spacious 4 bedroom family property situated within a small hamlet. The enclosed grounds . . . Fully renovated and modernised longére with separate gite on the edge of the village of Contigné. Just 30km to Angers. A fantastic example of a old longére that has been fully modernised and adapted by a local . . .
Idyllic location! Total privacy with this luxury fully renovated ancient mill house sitting . . .
Great opportunity to purchase a home with a business ready to go! This little gem near the . . .
An ideal opportunity to own a home in France with the possibility of generating an income . 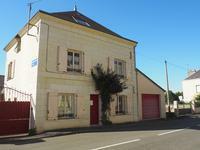 . .
Chaming 3 bedroom, 3 story detached house situated on the bank of the Loire River. Extended wonderful views of the Loire. 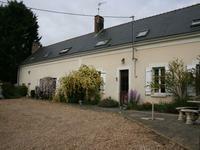 Charming detached house, built on the heights on the bank of the River Loire, 3 bedrooms, . . .
A vast property painstakingly renovated with loads of original features to provide for family . . . Private and isolated small holding ideal with private track leading to a character manoir . . . Impressive 5 bedroomed house with outbuildings. River access. Beautiful house built in 1842 with large living spaces, 5 bedrooms, an attic (could be . . .